Finding good gambling apps is not easy. Finding great poker apps for Android is even harder. We want to make you life easy. Happy gaming! There is a small armada of gambling games available for your smart phone. 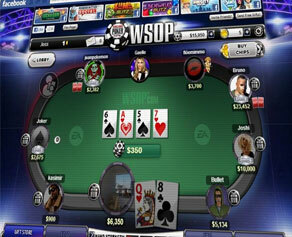 It is very challenging, however, to find wonderful poker apps for Android phones. This time, we ventured out into the virtual realm of phone applications to find the best poker apps that you’ll quickly fall in love with. Make sure you have some free time, though; you will not want to quit gaming for a couple of weeks. Do you want to tour the world and go to the best poker rooms? WSOP makes it possible for you to join tournaments set in London, Sydney, Atlantic City, Paris, Tokyo and Las Vegas resorts. Naturally, there are ring games, too, and you can get free chips every four hours as a bonus. Of course, you can also tell your friends to join you at a game of competitive poker, so be prepared to stay in gaming-mode! You can start a game on your phone and continue on another device, and there are mini slot games that you can’t miss out on. Let the fun begin! 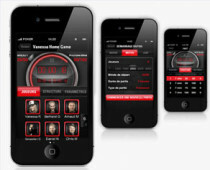 This free app will provide you with such a great poker experience that you’ll grow addicted. 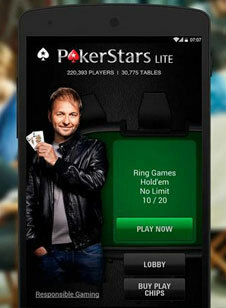 According to Google Play, it is the world’s largest poker app with the most players any gambling app has ever had. There are free Omaha and Texas Hold’Em games around the clock, a customer support that is available all days a week, 24 hours a day. You’ll also have access to a multi-table mode and you’ll be able to chat with others sitting around the gaming table, too. There are lobby filters for all games, table sizes, limits and stakes, and the advanced options will let you further customize the app to you taste. All in all, an exciting, cool app. With a new look, the Caribbean Stud Poker gambling app has returned to make your day a bit brighter. The game table has been beautified, the button layout has been changed for more comfort, and the deck and dealer have gotten completely new looks! The game itself is minimalistic and simple, nice and easy to learn. You’ll get the hang of it in a matter of seconds. 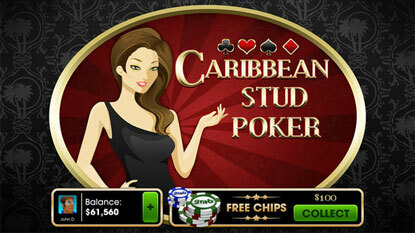 It is the only Caribbean Stud poker game available for mobile phones, and it also boasts of a progressive jackpot. Once you play the game with Facebook, you’ll get bonus chips and be able to send special gifts to your friends, too. If you’re looking for something simple and exotic, this is your app. With a teeny-tiny cost, this amazing app can be yours for the taking. 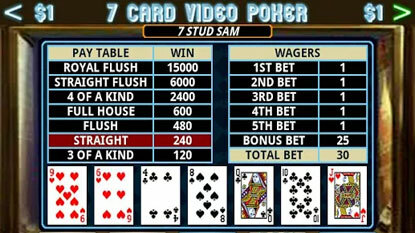 This is a classic seven card stud poker game and the platform you’ll be playing it on is very straightforward. There is a multiple bet format that will let you bet very often and in big amounts. To be able to educate yourself based on your results, the game lets you save ten games’ hand statistics and profits. Compete with your friends for the title of Video Poker King, and see who reaches the Billion Dollar Club. Let your skills run wild and start gaming! 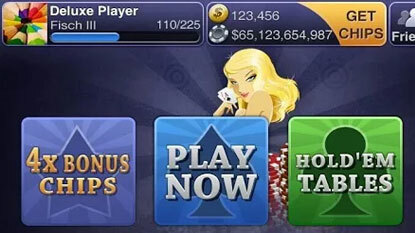 If you’re a sucker for social gaming and gambling apps, you won’t be able to get enough of this app, that’s for sure. Google Play says that it’s a top-rated app on Facebook and you can also play with users on the social media site. This means that more than 16 million players are available to play with. Joining this poker community will mean an added USD 30,000 in chips as a bonus, so it really is worth it! There are free daily gifts and bonuses, Shootout and Sit & Go tournaments, 5-9 person tables, live chat with funny animated emoticons and plenty of fun virtual items to send around the table. The game offers multiple language options, which means that people all over the world can gain access to this marvellous game. Join a table and play! From exotics, to plain Texas Hold’Em, we have covered the five best Android poker apps you can find on the market. Go, recharge your phone batteries, and enjoy the gaming experience.